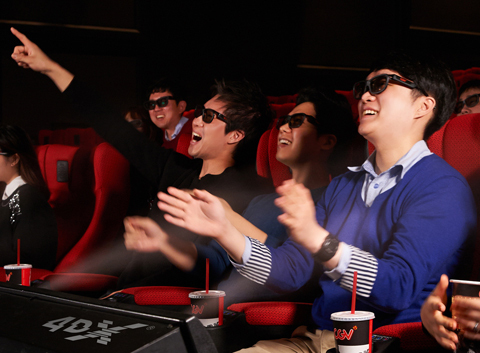 Cinemacity, a leading cinema exhibitor in Saudi Arabia, has partnered with South Korea’s CJ 4DPLEX, the world's first 4D cinema company, to open three 4DX locations in Riyadh and other major Saudi cities by the end of this year. Al Qasr Mall will be the first Multiplex in Riyadh, featuring 19 screens. It is expected to mark an average of 750,000 admissions during our first year of operation. Cinemacity's parent company, Xclusive Cinemas SAL Holding, will operate 116 screens by the end of 2018 in five countries including Jordan, Lebanon, Syria, the UAE, and soon in Saudi Arabia.